Black and Blue would be a perfect description of the weather today. One minute the sky is black, the next it is blue. Add in wintry hail showers. 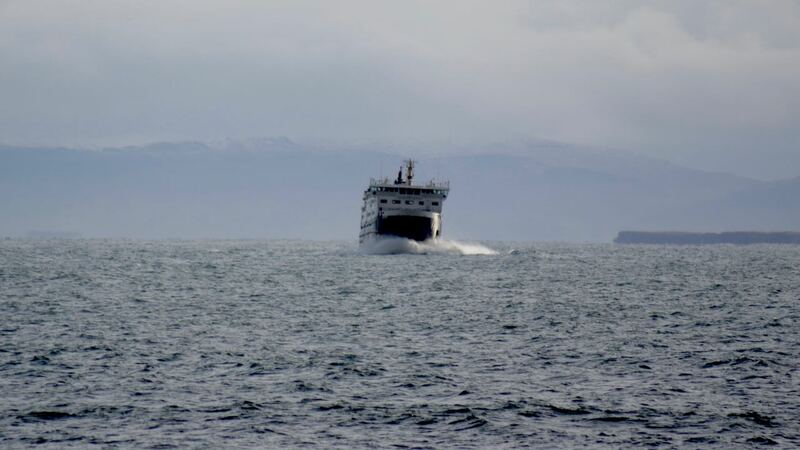 The MV Hebrides out in the Passage of Tiree. Yesterday stormy weather prevailed throughout the day. Consequently both the ferry and the plane were cancelled. Winds were gusting up to 60mph and visibility was very poor. However, we ought not to be surprised, after all it is still February. 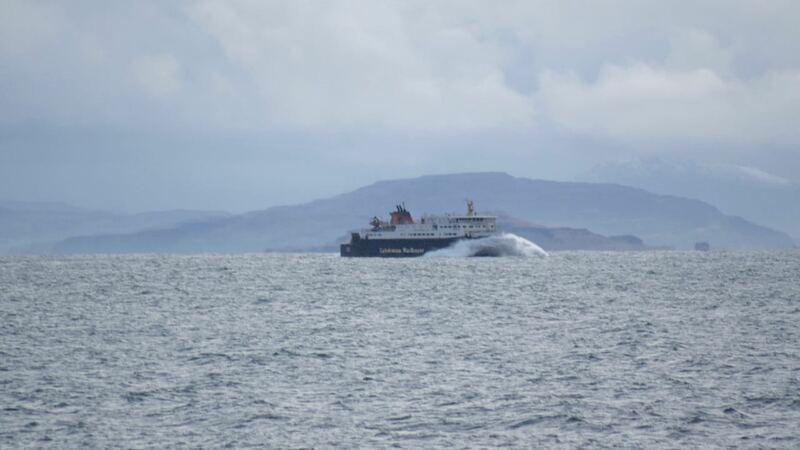 Today the MV Hebrides provided a replacement sailing to Coll and Tiree. 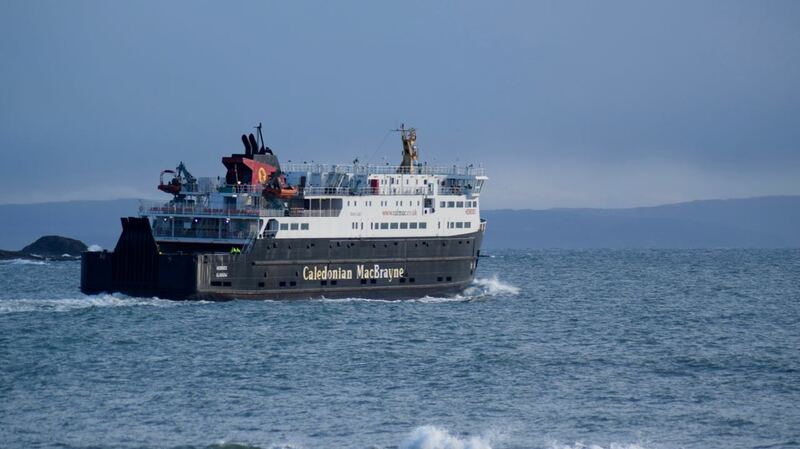 CalMac announce it on their website as an additional sailing. It is in effect a replacement for the cancelled sailing. Shelves in the Co-Op will be restocked. Delayed deliveries will be distributed around the island. And if the plane carries the mail, the postmen will be out delivering. Today is a Black and Blue ‘Life on Tiree’.